Hope you're having a Happy Friday. Here's a cool game, I can't explain it just go do it. **UPDATE*** On a Friday night what am I doing but sitting here playing this stupid game. 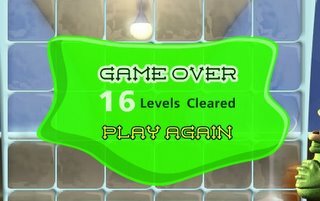 I got to level 16, how high did you get? Fun "blub", Michael! Wish you a happy Friday, too. My working day is over already! It's 6pm here. Hi Michael! This game's hysterical, i love it! and thanks for visiting my blog. Happy firday!